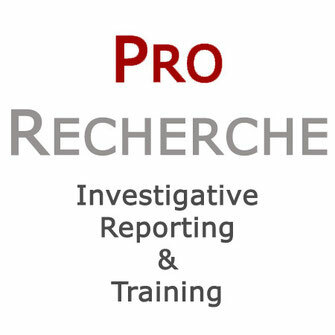 ProRecherche is an independent nonprofit journalism project. It is founded and run by journalists. What is ProRecherche? Think about a training center for journalists to teach basics and principles of our profession. Not just any basics, but the most fundamental basic skills. How to get to facts someone wants to hide from the public. We teach how to report and dig deeper. Skills to investigate subjects that matter for a society. For our first workshop, we will cooperate with correctiv, the nonprofit bureau in Berlin, and Netzwerk Recherche, the Berlin based umbrella journalism organisation for the betterment of reporting. Our first workshop starts in November in Berlin (23rd - 27th). First, we will dive into the inner workings and risks of Cross Border Leasing. And second, we try to find out more details about antibiotics in animal fattening. We aim to report together. Newcomers will learn the craft and art of reporting by working with experienced journalists. We will start reporting in a weeklong workshop and continue afterwards for some more weeks (maybe even months) until we get results. We will advise our participants in hands-on-manners and work together in reporting and writing. We will dive deep and hope to ultimatly publish what we find out. While we are just getting going with our first workshop on Nov 23rd, we already had some early successes which feed our hope and firm belief that our concept is working. Two projects from our previous workshops (while we developed the idea) were published by SPIEGEL magazine. Andrea Rehmsmeier uncovered some fishy business about caviar. Christian Schweppe showed how a tax-privileged non-profit organisation helps arms companies and their lobbyists selling their goods. Silja Kummer wrote in the local paper Heidenheimer Zeitung about the financial risks from so called cross border leasing contracts in Heidenheim, which city officials tried to hide from the public. For her series of articles she got rewarded with the prestigious Otto-Brenner-Preis, which usually goes to reporters from SPIEGEL, Süddeutsche Zeitung, ARD and other national publications and broadcasters. The Augstein foundation – led by the heirs of the founder of SPIEGEL and named after him – is financing part of our first workshop in Berlin. Manfred Redelfs will teach about how to get hidden information by using the German Freedom of Information Act. Albrecht Ude will teach about data security and protection of sources and sensitive information. Fabian Gartmann, who reported for Handelsblatt and Focus, will help us teach digging deeper and advise the participants. Well known and experienced journalists support our idea and concept and help us grow ProRecherche. Among them are Hans Werner Kilz, former editor of SPIEGEL and Süddeutsche Zeitung and advisor of the investigative reporting staff of DIE ZEIT; Julia Friedrichs (WDR, ZEIT); Christian Bommarius (Berliner Zeitung, Frankfurter Rundschau) and Harald Schumann (Tagesspiegel). Not to mention the internationally well known reporting trainer Mark Lee Hunter, who promised to take part in one of our next workshops.